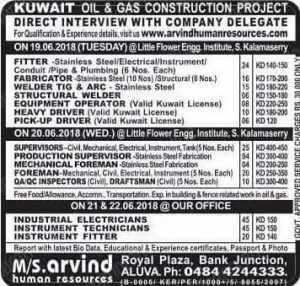 koc Kuwait interview 2018 vacancy. 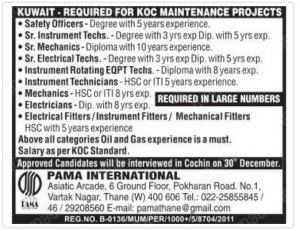 Good News now Koc Kuwait interview in India one of the leading company in Kuwait having huge vacancies. KUWAIT JOB INTERVIEW at Mumbai. All should have relevant qualification .9 exp. in arm Gas Maintenance. Applied for the position of Stores Manager in Construction Projects. 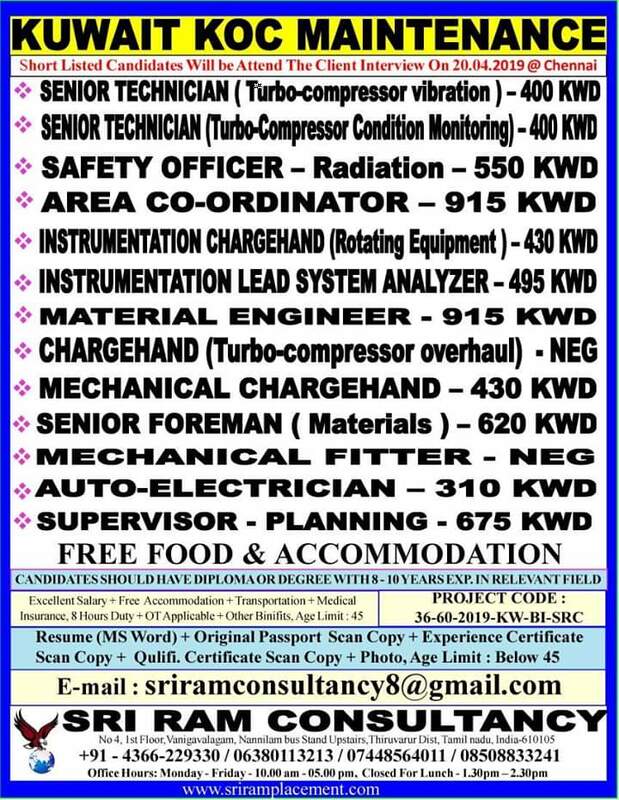 I have 22 years experience in store management field at various platforms including 19 years gulf experience. Moreover I have well knowledge in Inventory control, FIFO, ERP, and ABC ANALYSIS. Also I am well trained in team management and well known English, Hindi, Arabic Languages. So If you have any opportunities, kindly inform through my email or mobile number. 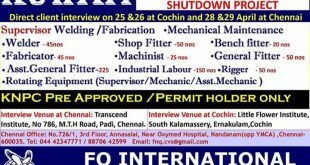 sir i am scaffolder and i have 5years gulf exep. i want kuwait scaffolder job. Kindly let me know is there any vacancy that relates my profile. I am working in Chennai in India as a safety guard i was completed diploma civil, now recently had complete NE BOSH safety course. now looking for good job abroad any vacancy shall i get me sir….